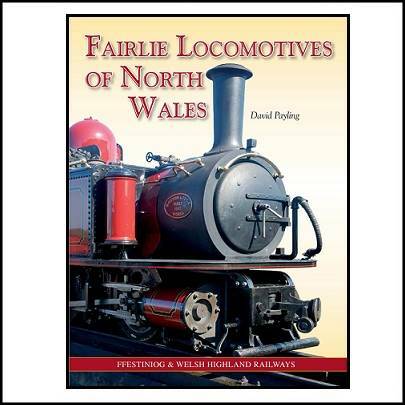 This book describes the history and career in service of each of the eight Fairlies, single and double, built for service on the Festiniog and the North Wales Narrow Gauge Railways in Victorian and Edwardian days. It continues with the three built at Boston Lodge during the present era and gives preliminary details of a fourth, James Spooner, to be built in the coming four years. The, perhaps surprising, fact that a Fairlie was in service on Anglesey three years before the appearance of the Festiniog's Little Wonder in 1869 is explained, as is the proposed use of this type of engine on the Penrhyn Quarry Railway. The sensation caused by the demonstration of Little Wonder's capabilities to an audience of international observers is described in a special chapter. Another describes the dramatic rise of the railway's carriage of slate to explain the Festiniog's need for these powerful engines. The book has benefitted from the contributions of many experts on aspects of these engines. One is a chapter on the engineering of the Fairlies in the 60 years since 1954. Another is an account of a day on the footplate on one of the Festiniog's Fairlies, highlighting the driving technique to secure the best performance from these powerful articulated engines. With railway modellers in mind there are fold-out seven millimetre scale drawings of each locomotive. Additional drawings detail the changes introduced during their service. The search for information has led the author to archives and libraries throughout the country. Profusely illustrated, the book draws on photographs from archive collections and from friends and colleagues to show the locomotives in action more recently in North Wales. The author is a life-long volunteer on the F&WHR, part of the team at Boston Lodge working to assemble the drawings and information to assist the maintenance and development of these locomotives.